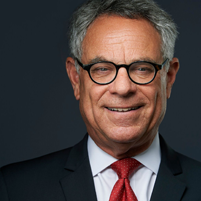 Sanford R. Oxfeld has argued many of the most significant labor and employment cases before the New Jersey Supreme Court and has long been recognized as one of New Jersey’s preeminent labor and employment lawyers. Mr. Oxfeld graduated from Rutgers Law School in 1973, and then clerked in both the Chancery and Appellate Divisions of the Superior Court of New Jersey. He has concentrated his career in the areas of labor and employment law, litigating some of New Jersey’s landmark labor, employment, and chancery matters arising from both the public and private sectors. See, e.g., Maher v NJ Transit, NJ Supreme Court (discussing handicap discrimination, the Railway Labor Act and the duty of fair representation); State v Local 195, NJ Supreme Court (defining the scope of public bargaining): Middletown Township Board of Education, Chancery Division (discussing the rights and obligations of public school teachers participating in concerted activities such as strikes);Scotch Plains-Fanwood Board of Education, NJ Supreme Court (holding that “just cause” may be an inherent part of every collective bargaining agreement); Linden Board of Education (restricting the role of the judiciary in reviewing arbitration decisions); and, most recently, Belleville Education Association, Superior Court of NJ, Appellate Division (holding the Board of Education guilty of retaliation against the President of the Education Association for his union activity). Mr. Oxfeld was an adjunct faculty member at Rutgers Law School in Newark where he taught employment discrimination. He has also previously taught at Essex County College and Seton Hall Law School, covering topics in labor law. He is recognized as one of America’s leading employment lawyers by Chambers USA; one of New Jersey’s leading lawyers by Martindale-Hubbell which awarded him its highest peer rating; and he is the author of the labor law chapter of Matthew Bender’sDeposition Strategy, Law and Forms. Both The New York Times and News 12 New Jersey have featured Mr. Oxfeld as an expert on labor law issues.